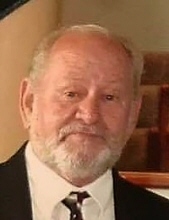 Mr. Howard L. Maxwell, 82, of Hogansville, passed away Saturday, February 9, 2019, at his home. Mr. Maxwell was born June 28, 1936, in Alabama, son of the late Jack Maxwell and Frances Pickett Maxwell. A former resident of Chattanooga and a veteran of service in the U.S. Marine Corps, he had lived in Hogansville for fifty years, was Baptist by faith, and loved buying and selling. He was active in the apparel industry in the area for over forty years, first as plant manager for Signal Knitting Mills in LaGrange, and then as an owner of Bomax Manufacturing and RAM Manufacturing in Hogansville and Franklin Polo in Franklin. Survivors include his wife, Kathy Maxwell of Hogansville; sons, Tony and Beth Maxwell of LaGrange, Doug and LeAnn Maxwell of Hogansville; daughter, Darlene and Al York of LaGrange; step-son, Scott and Amy Tucker of Hogansville; sisters, Shirley Cross of Birmingham, AL, Joyce Pickett of Chattanooga, TN; fourteen grandchildren; and a number of great-grandchildren. He was preceded in death by his step-daughter, Lynn Tucker Coleman. The funeral service will be conducted at 2:00 p.m., Wednesday, February 13, in the Chapel of Claude A. McKibben and Sons Funeral Home in Hogansville. Dr. Donald Yancey will officiate and interment will be in Myrtle Hill Cemetery. The family will receive friends at the funeral home from 6 until 8 Tuesday night. To send flowers or a remembrance gift to the family of Howard L. Maxwell, please visit our Tribute Store. "Email Address" would like to share the life celebration of Howard L. Maxwell. Click on the "link" to go to share a favorite memory or leave a condolence message for the family.